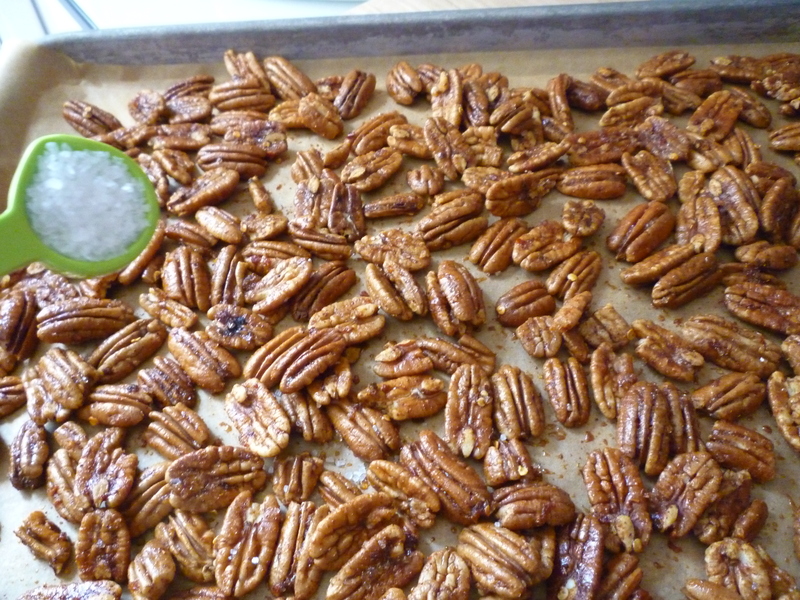 One time I made these nuts and accidentally forgot the cayenne! I still liked them … just not as spicy. 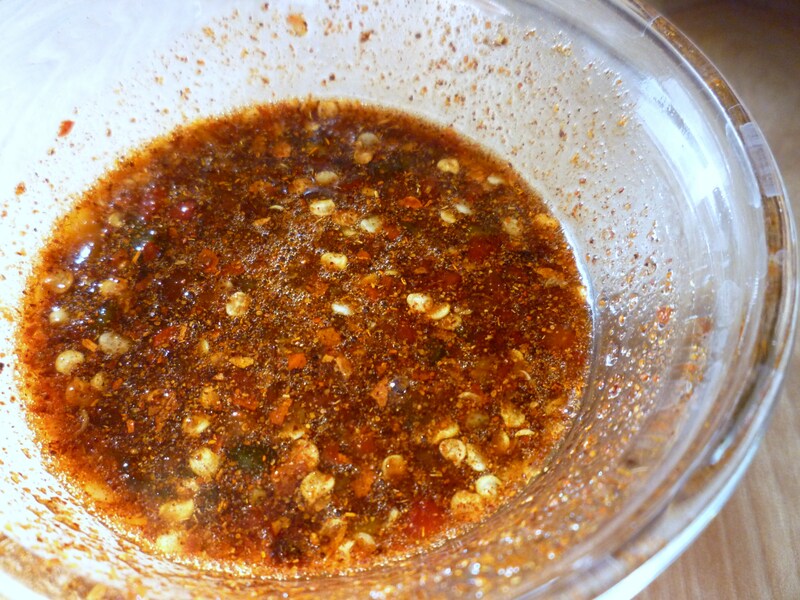 This recipe is very flexible … you can easily adjust the spiciness and saltyness. With Father’s Day around the corner … these could make a nice gift. Now package up for a pretty spicy gift!!! Preheat oven to 300º. Line a rimmed baking sheet with parchment paper, set aside. 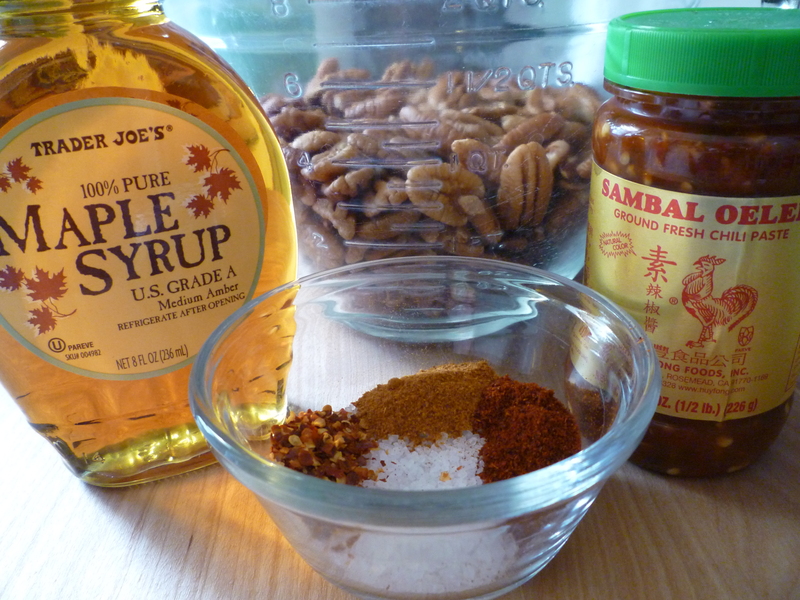 In a small bowl, mix syrup, 3 teaspoons of the salt, red pepper flakes, chili powder, cayenne and chili paste. 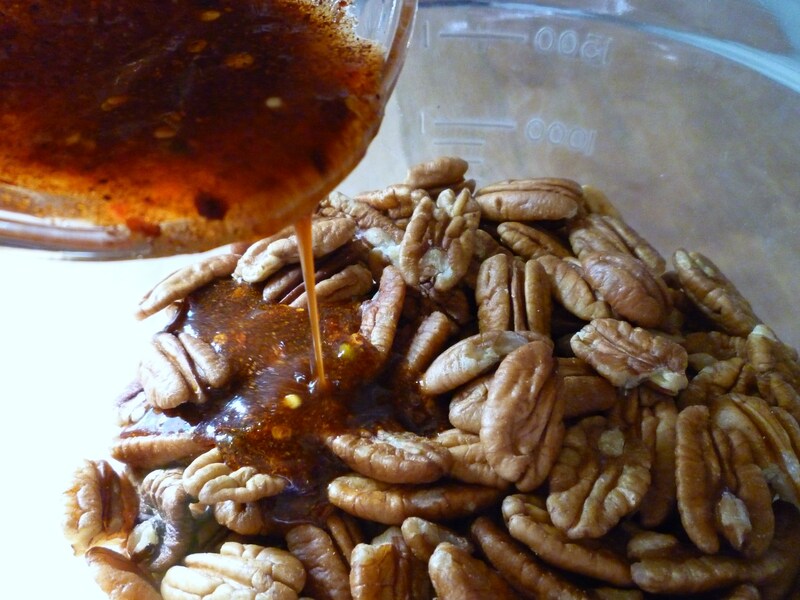 Pour over pecans and toss to coat. 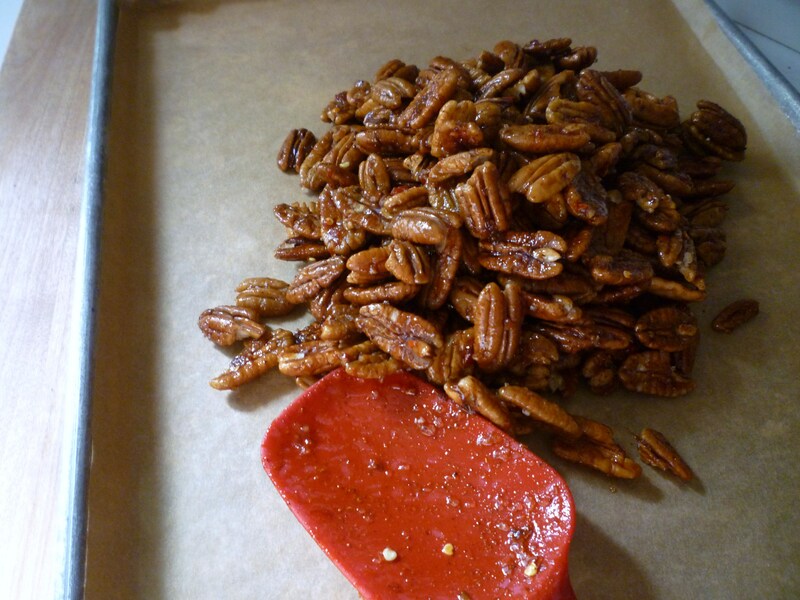 Spread nuts in a single layer on paper lined baking sheet and bake for 20 minutes. Remove from oven, toss with remaining teaspoon of salt and let cool. Serve immediately or store at room temperature in an airtight container for up to 1 week. 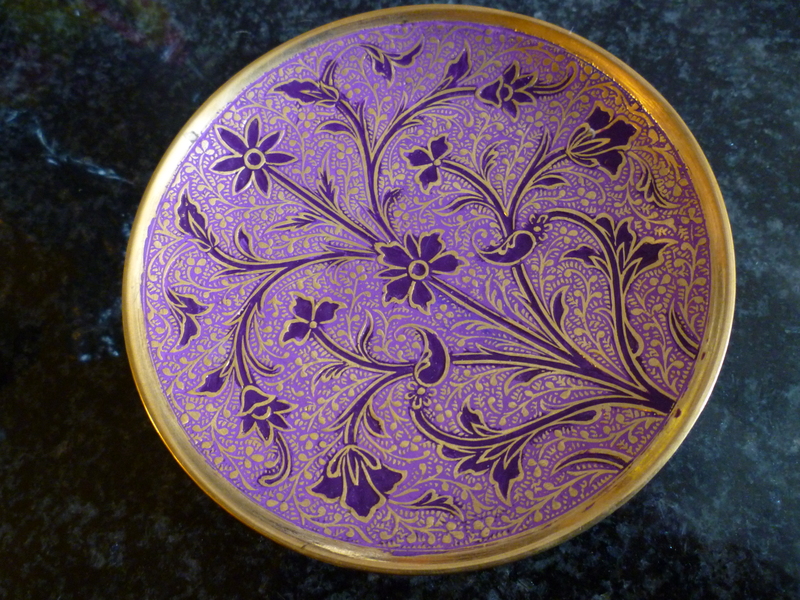 When my friend’s parents came to visit her from India, they were so nice to bring several whole nutmeg for me. 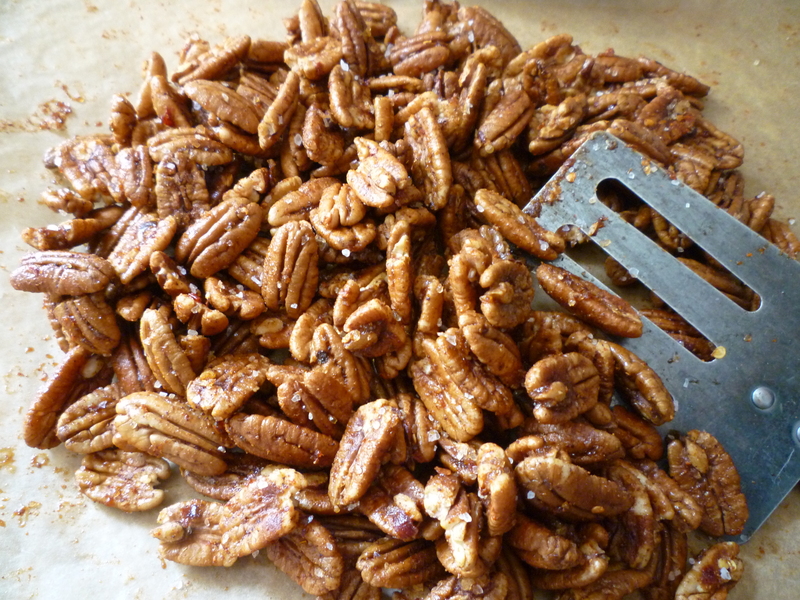 As a thank you, I made these pecans for them. 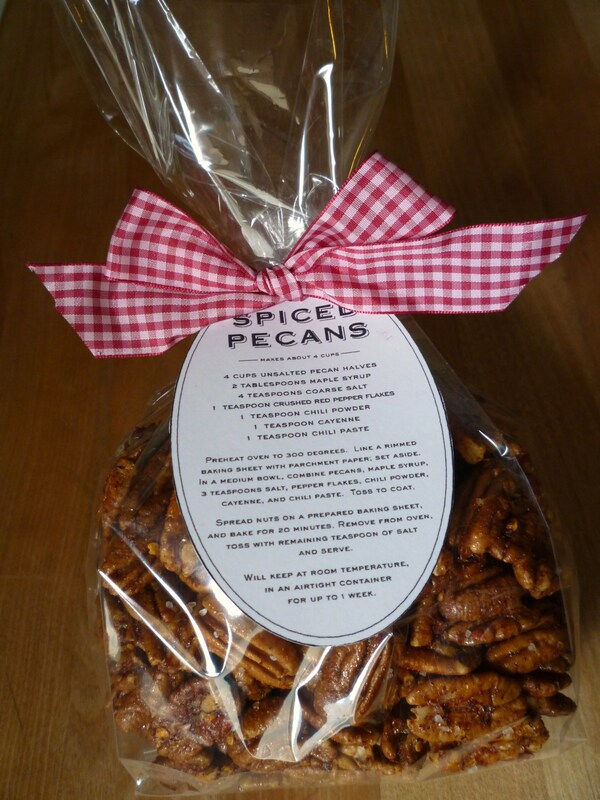 Yesterday, I received this beautiful plate as a thank you for the pecans! I am very fortunate to have such generous friends.